I shot my first .50 caliber rifle in 2006. My introduction was personal, my father started loading 50 BMG as a hobby when he realized there was a lack of high-quality, precision ammunition on the market. Soon, his hobby developed into Thunder Ammo, and through this we were introduced to the Fifty Caliber Shooters Association. From the beginning, it was a family affair. He taught me to load my own ammo, my little brother too, and before long we were all competing at the NRA Whittington Center in Raton. For the first few matches, we competed off the benches with a Ferret 50 and Barret M82. Using bipods and monopods, we were able to keep our shots on paper, but climbing the ranks was out of the question. We watched the bench rest shooters closely and knew that to prove Thunder Ammo we would have to improve our equipment. My career as a competitive shooter changed when my father ordered a McMillan Heavy Bench Rest rifle for us to use in the Heavy and Unlimited classes. I was still a junior shooter, but immediately my aggregates were on par with the adults at regional matches. It doesn’t matter if you’re shooting the best ammo in the world, if you use the most expensive scope, or if your rest utilizes the most advanced technology, in the end it’s the rifle that unites all of these components and can turn 20+ MOA averages into sub 6 MOA. This is a process I experienced firsthand. I had the right ammo and scope but when I switched to a McMillian bench rest rifle, I wasn’t simply shooting, I was competing. My progression from occasional off targets, to all on paper, to all in the black came with practice, but could not have been done without the right rifle. Using our McMillan 50 HBR I won Junior World Champion at the FCSA World Championships in 2012. The following year, I won Rookie Shooter. 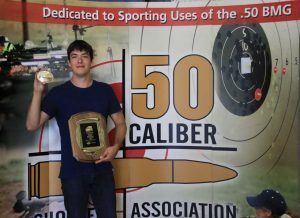 I was fortunate not only to win the rookie action that McMillan donates as a yearly prize, but to build one of the first .50 calibers with a McMillan Super 50 BR stock. 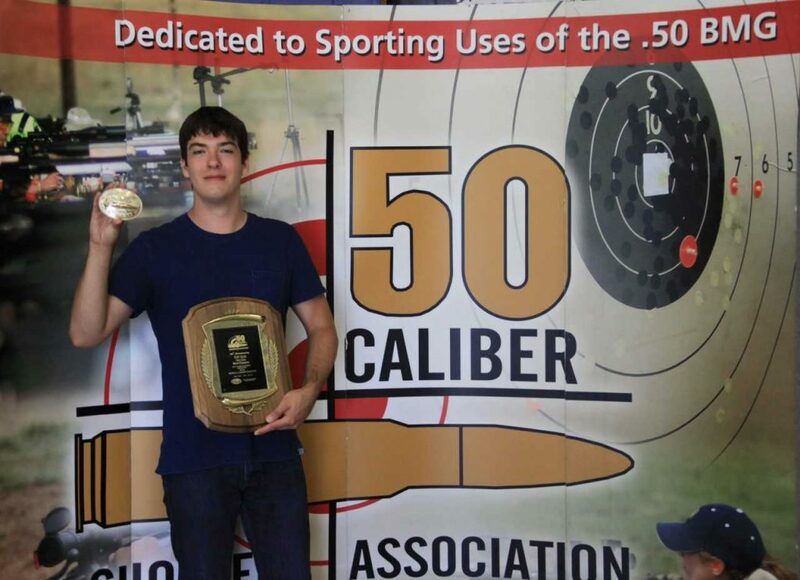 At the 2015 FCSA World Championships, I experienced an incredible change in bench rest rifle technology. I came in a very close second-place the previous year with my 50 HBR. But when I sat behind my Super 50 BR, I could tell an immediate difference. The aluminum tracking shoes allow the gun to bed in the rest better than any composite stock. Simply put, the gun felt better in the rest — not only in firing position, but during firing, and when returning the rifle back to position. Shooters need to feel comfortable with their rifle; during matches they need to operate with quick precision, the Super 50 BR made that easy for me, and allowed me to focus on my target and changes in the wind. Shooting heavy and unlimited classes, my two-gun aggregate was 9.057”. McMillan stocks are proven. The 50 HBR and Super 50 BR allowed me to take a hobby and push it to a professional level. Just as I’ll always remember my first job loading ammo in the shop for dad, I’ll remember earning my place as a World Champion.